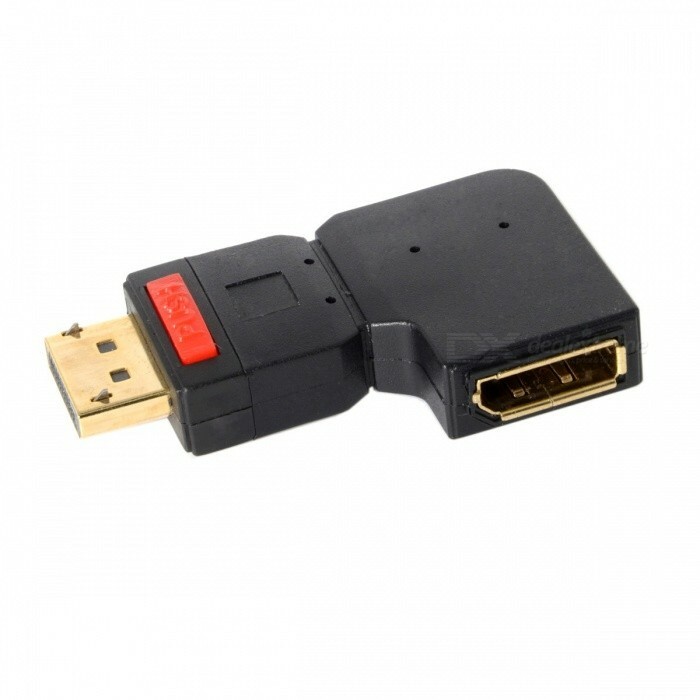 This Displayport adapter enables you to lead the female port of your Displayport devices, e.g. flat screen etc. 90° left. 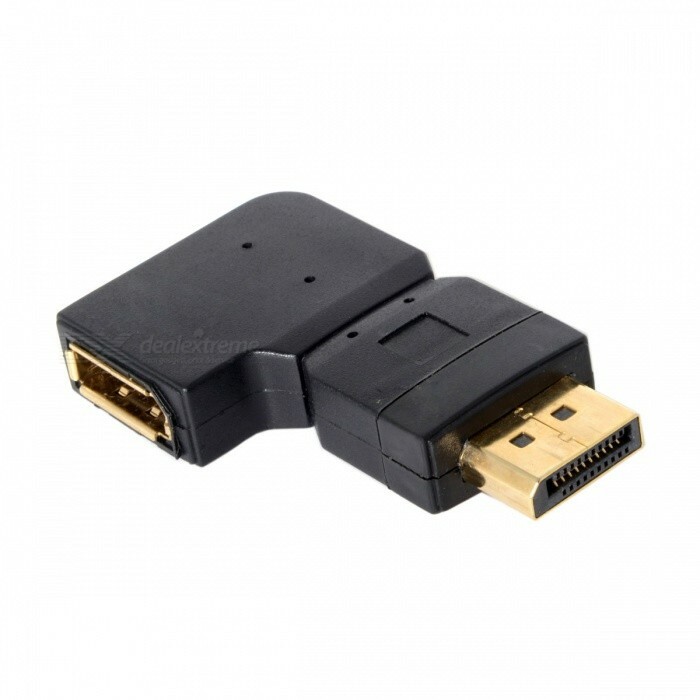 Thus you can connect your Displayport cable without any problem in case the existing DP female port is difficult to access. 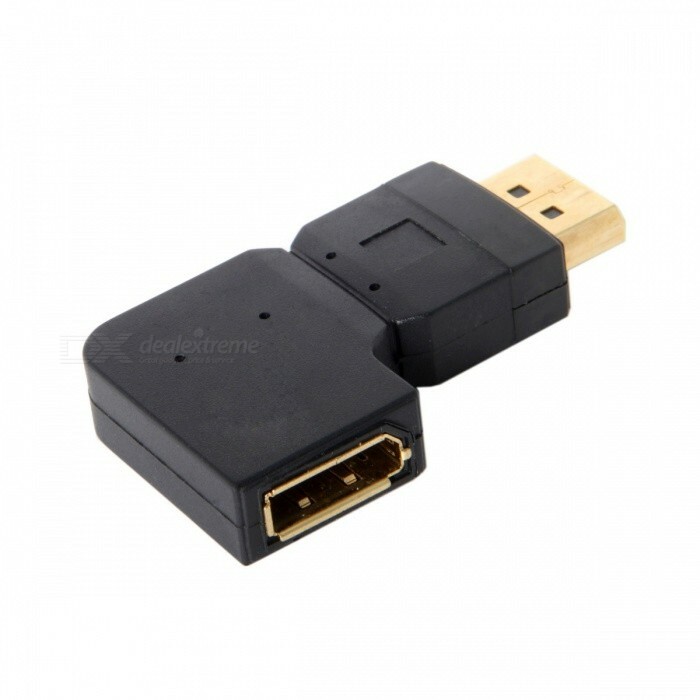 Connector: Displayport male to Displayport female port 90° angled left.